This small chapel, designed for private use on a rural site in the eastern United States, is intended as an expression of simplicity, permanence, and devotion. 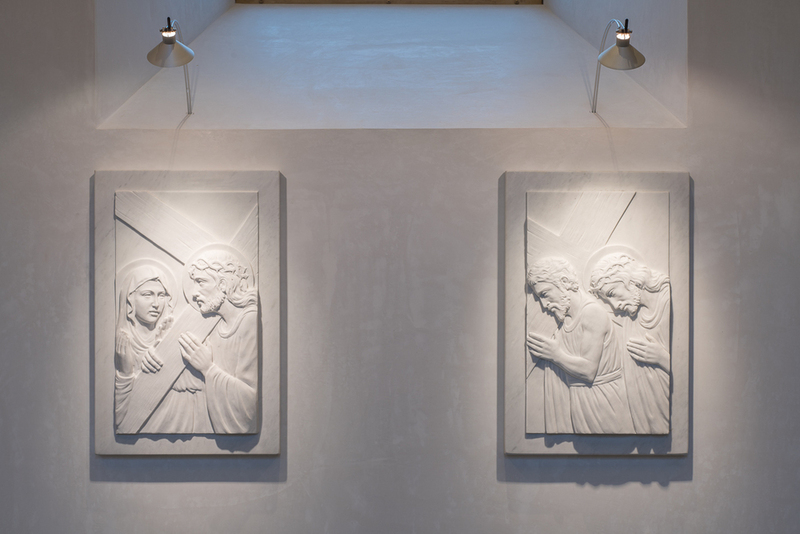 The clients were inspired by the Porziuncola of St. Francis of Assisi, and requested that the firm prepare a design for a building of that size and scale. The building, with a capacity of fifteen worshippers, is clad in native fieldstone with limestone trim, and a clay tile roof. The interior is appointed with liturgical furnishings in the manner of traditional Roman Catholic Church interior design. 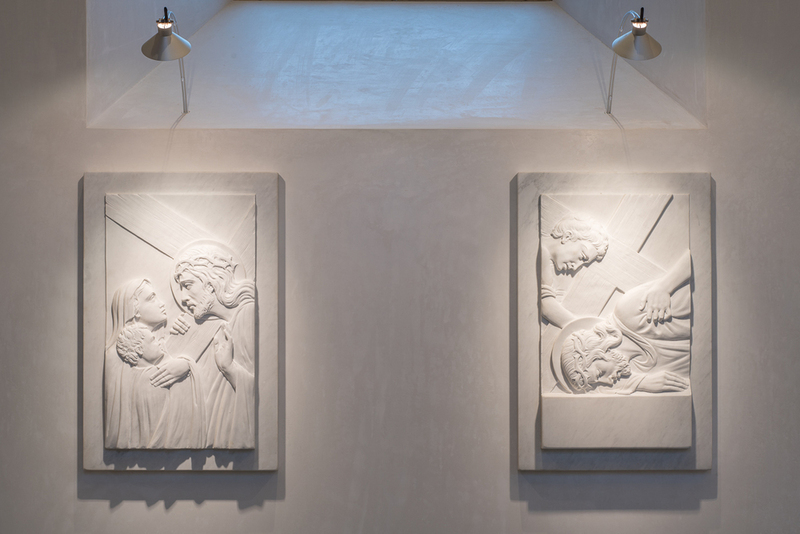 We offer a full range of architectural services for Catholic church design, as well as schools and other building projects. 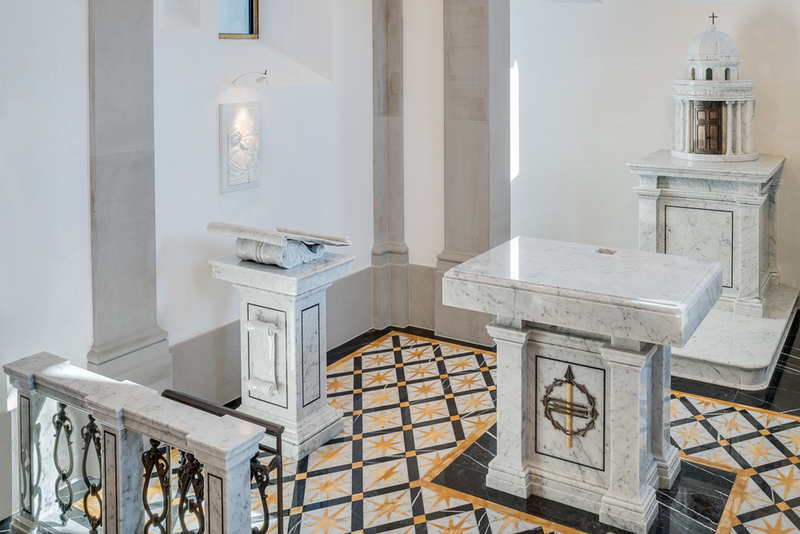 Whether you are seeking to build a large and complex cathedral, or a modest but striking chapel like this one, O’Brien & Keane can translate your architectural dreams into reality.